For the first time, three different groups—dalits, ex-servicemen and farmers—are coming together to hold protest to against the policies of the Union government. Though the date of the pan-India protest is being worked out, the groups are planning to hold it during the monsoon session of parliament. The upcoming protest is seen as the round II of the Bharat Bandh held on April 2, during which incidents of violence were reported in some parts of the country. "We had a discussion with Major General (Retd) Satbir Singh-led Indian Ex-Servicemen Movement (IESM) and he has agreed to come on board. 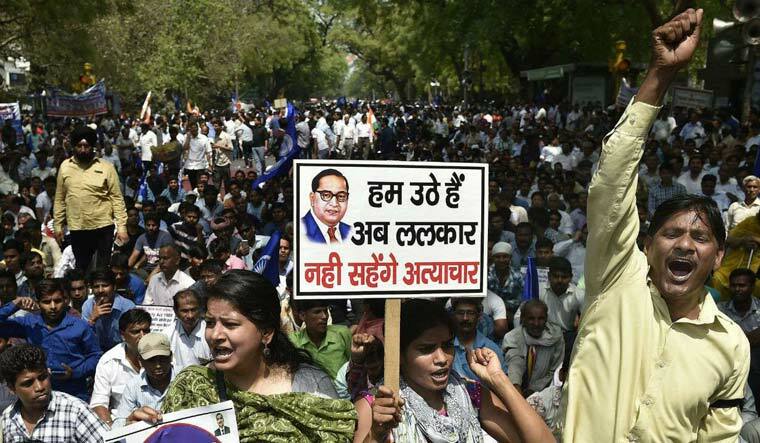 It will be a synchronised action where dalits, farmers and ex-servicemen will jointly hold protest and express their anger against the PM Modi-led government at the Centre," said Ashok Bharati, former chairperson of the National Confederation of Dalit Organisations (NACDOR). NACDOR was one of the major dalit outfits which organised the April 2 protest. Bharati claimed that All India Kisan Sabha has also decided to join them. The IESM has been at the forefront of four decade old One Rank One Pension demand of ex-servicemen. Nearly 200 associations of retired defence personnel are protesting under the umbrella of IESM and have been sitting on dharana for over three years. "Yes, we have decided to support their cause. Of late, all other deprived sections of society are also individually raising their issues. They have been in touch with us. Though we remain separately, we will jointly raise concerns of each other. All the deprived sections of society are going to join hand and tell the government to do justice," Satbir Singh said without confirming participation of the veterans in the protest. Singh added that ex-servicemen have been protesting at the Jantar Mantar for the last 1,134 days. "Our issue is not only OROP. We are raising our voice on other issues also, including the degrading of the defence forces and opening of military cantonments. We are not associating with any political party. But we will approach everyone who raises our issue. In parliament, we need support of opposition," he added. Singh further said that the OROP has not been implemented at all. "What has been given is only a one-time increase in pension. On the contrary, they have killed the very definition of OROP," he said. Bharati said that this time not only farmers and soldiers, but a section of traders and students are also expected to join them in the protest. "We will try to hold nationwide protest peacefully. In Delhi, we are expecting nearly 20,000 protesters to take part in the Bharat Bandh. This time the scale will be much bigger, as there is so much anger against the incumbent government," Bharati added.